All puppies are special and yours deserves a unique name! However, it can be difficult to think of a name that is truly a one-of-a-kind. Use these suggestions as a starting for developing an amazing name for your new canine companion. Is there anything funnier than a puppy chasing its tail? Is there anything sillier than a dog rolling onto its back for a tummy rub? You can reflect this joyful demeanor with an amusing or even absurd name. You can make up names that will ensure truly unique puppy names. Try these fun approaches to creating your own clever dog name. Take any word and substitute a new letter or two. The word "trooper" can become "Drooper," a great name for a Basset Hound or Bloodhound. Some words already sound funny on their own. Boogle, pollywog, and pumpkin all sound funny and could make funny names for a dog. Take it a step further and can create a nonsensical name with some simple letter changes: "Snoogle," "Gollypog," and "Trumplin." Even a simple name becomes amusing when you make it a rhyme. You can also gear it to the puppy's personality or behavior. You can also use the name of a famous actor, author or character as an interesting and uncommon name for your dog. That new addition to your household is a special little creature. With a little creativity and imagination, you can reflect this individuality with a unique name. For example, you could go for a southern-inspired dog name if your pet hails from that region. There are plenty of creative dog name ideas to consider. 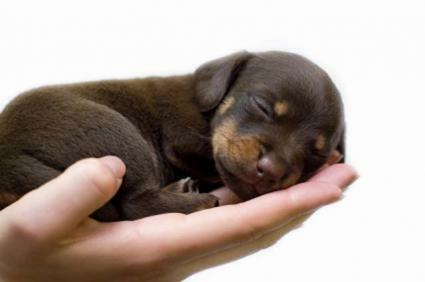 Take care of your puppy, and you will have a great canine companion.